Rose & Co is a relatively new brand in Singapore. Their products are unique and varies from lip balms to bath tartlette, cupcake soaps, handcreams, shower and bath creams, body lotions and hand creams. I visited their booth to check out their products and I have to say... all the products are really pretty and smells super nice! Rose and Co Hand Cream comes in quite a wide selection of scents - Sugared Violet, Cranberries & Cream, Sweet as Cherry Pie, Strawberry Cupcake, Orange Crush and Lemon Bon-Bon. My personal favorite scent is Cranberries & Cream! I got the hand cream in the tube version instead of the glass jar version as it's easier to use and carry around. Cranberries & Cream has a sweet and yet not too overpowering scent - yes, I like sweet scents more than floral scents. The hand cream are a little thick but once absorbed by the skin, it's non-greasy at all! Also, I love how the scents don't smell that artificial and it contains shea butter and glycerine to keep your hands moisturized. For each hand cream scent, they actually have a matching Bath&Shower Creme and Bath&Shower Lotion. They smell exactly the same and it leaves you smelling really nice after your bath/shower! I tried it and the scents does stay but not the super strong and overpowering too, just a light sweet scent. Also, spot some of the Cupcake Soap in the photos. They are super cute and pretty! Imagine having such a pretty soap in your bathroom! The plus point is that they contain Glycerin as well so they keep your skin moisturized. Like a combi of bath bombs and bath melts from Lush, when placed in water, the Bath Tartlette dissolves and its base fizzes with fragrance, leaving the top to gently moisturize with cocoa and shea butters, keeping you deliciously smelling and beautifully nourished! 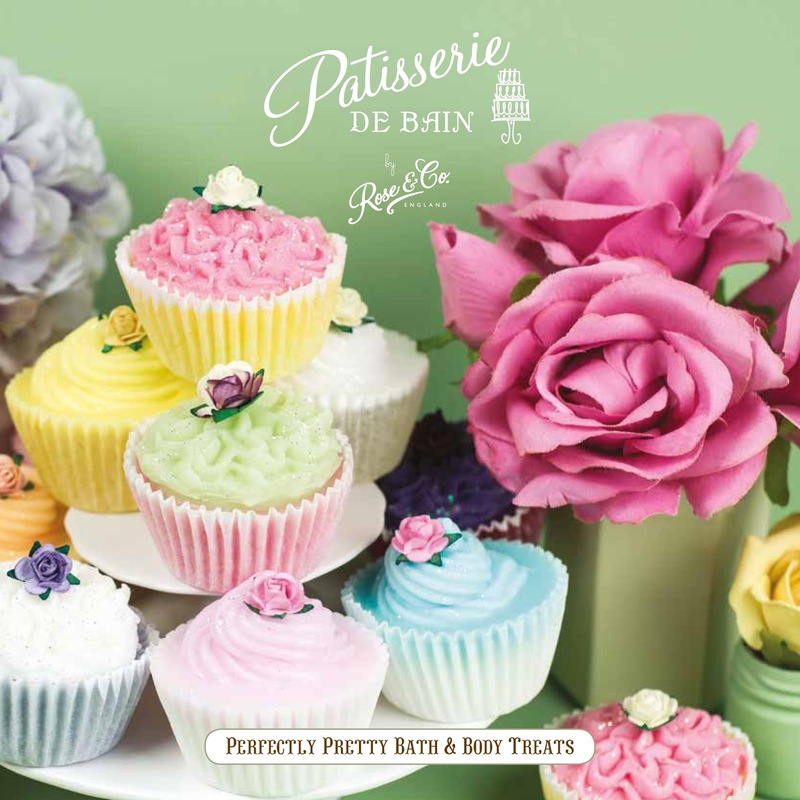 They are available in matching scents as the Hand Creams, Bath&Shower Cremes, Bath&Shower Lotions and Cupcake Soaps! I got one that matches the Cranberries & Cream scent but haven't had the opportunity to use them. Actually... they are so pretty I can't bear to use them too. Their Lip Balms are available in 3 scents - Strawberry Cupcake, Cherry Kiss and Strawberry Crush. I love the Strawberry Cupcake one! Same as the hand cream, I got it in the tube version instead of the tin version. It's totally up to your preference whether you want to get the tube or tin version as they are both the same, just in a different packaging! The Lip Balms have Beeswax and almond oil in them and are really moisturizing.